From the injured athlete who underwent ACL surgery to the mother recovering from a broken ankle, the nation’s opioid epidemic selects its victims indiscriminately and at an alarming rate, with 8% to 12% of patients prescribed painkillers eventually developing a use disorder. As of 2017 – the most recent full year for which data is available – prescribing rates still hover around 60 prescriptions per 100 persons. Addiction disorders disproportionately affect young adults, with opioid overdoses accounting for one in every five deaths of Americans between the ages of 25 and 34. This is the grim face of the epidemic today. While the Attorney General and U.S. courts fight to determine the role pharmaceutical companies such as Purdue Pharma had in precipitating our nation’s drug crisis – as well as their prior knowledge of the addictiveness of drugs like OxyContin – patients, physicians and local communities continue to battle the epidemic on the front lines. From controversial measures like safe injection sites, to collection programs for unused pills as well as new medical policies designed to reduce overprescribing, communities across the country are developing and implementing innovative ways to address the epidemic. 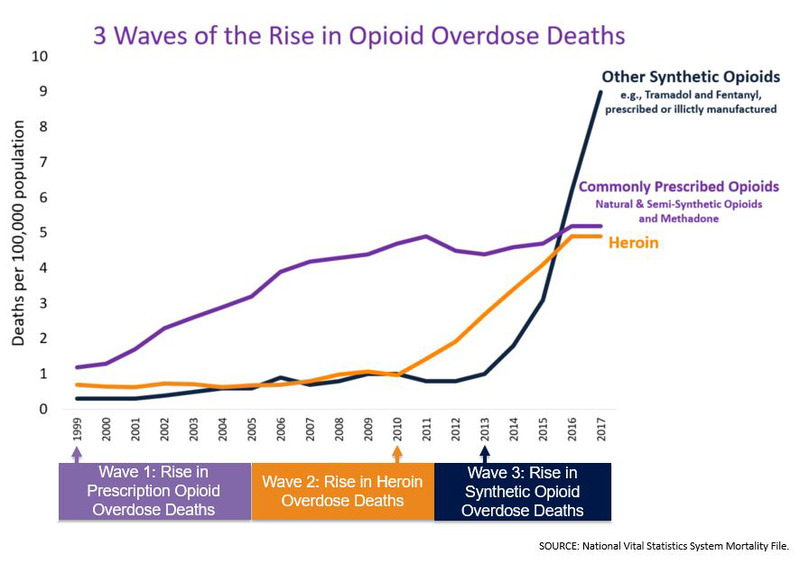 One of the strategies outlined in recent months comes from the Centers for Medicare & Medicaid Services (CMS), which describes a three-pronged approach to fighting the epidemic: opioid use disorder (OUD) prevention, treatment and improved data utilization in electronic health records (EHRs). The cornerstone of this strategy – to equip health workers on the front lines with access to real-time data about patient prescribing patterns – is a key aspect of CMS’s roadmap that health technology leaders are still exploring today. And, while much of the necessary data is already being collected through various means, getting it in front of prescribers when and where they need it – and in a useable format – is another matter. If you follow healthcare trends, you’ve likely come across the term interoperability – in short, the ability for medical providers across different health facilities and even geographic areas to access each other’s patient medical records in real time, and importantly, to provide updates to those records. Currently, a specific patient’s medical record typically resides with their primary care physician and is not always updated with information from visits to specialists, the ER or urgent care centers. Variations in state policy, clinician use of technology and the efficacy of the state’s information infrastructure all play a role in what data is collected and where, when and how that data is shared. Improving the interoperability of EHRs across the healthcare continuum could fundamentally change the way physicians prescribe opioid painkillers. The aim, of course, is to better use technology to provide physicians with real-time and easily accessible information about a patient’s prior relationship with painkillers, allowing them to preemptively identify when a patient’s history suggests abuse, and/or prevent additional pills from fraudulently entering the market. However, establishing a nationwide, standardized infrastructure for sharing this information is not an easy task. Over the past few months, an increasing focus has been placed on healthcare technology experts, policymakers and health IT vendors to create more standardized processes for collecting and sharing data, as well as to establish consistency across EHR technology. As part of this effort, 49 of 50 states have adopted some sort of prescription drug monitoring program (PDMP) for the electronic prescribing of controlled substances. This week, the American Academy of Orthopaedic Surgeons’ (AAOS) Annual Meeting brings thousands of orthopedic professionals from across the nation together to discuss some of the most pressing issues facing orthopedists today. With orthopedic injuries and surgeries accounting for nearly 8% of all opioid prescriptions, it’s not surprising that the meeting serves as a platform to further discussions surrounding the epidemic. Case in point, less than one month ahead of the conference, the Electronic Health Record Association (EHRA) announced it’s working toward policies and procedures that will help standardize data collection in EHRs to provide physicians with better visibility into prior opioid use by their patients. To design the new policies, the association conducted the first-ever review of the state-by-state guidelines currently in place affecting health data acquisition. 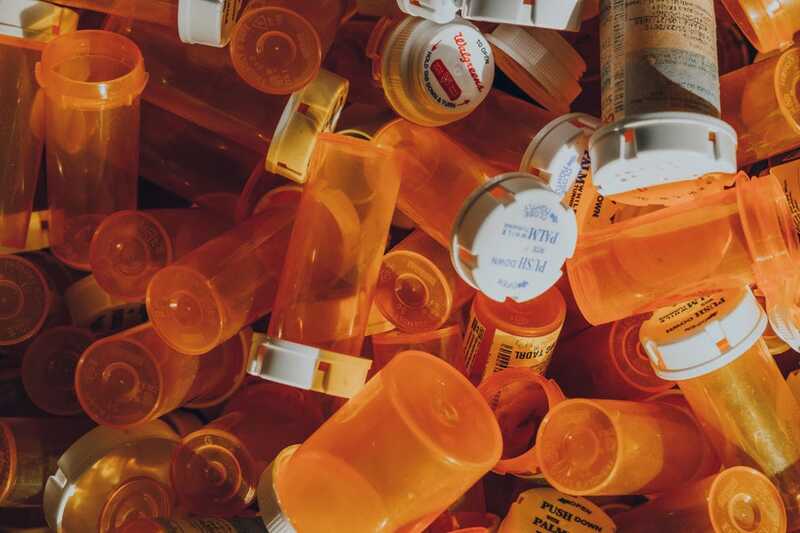 It included how long it took providers to report controlled substance prescriptions to PDMPs, what data was collected, who could access PDMP information, the ability to share data across state lines, as well as how long data is retained within an EHR. Based on this information, the association has compiled what it calls the ideal minimum data set for EHR platforms and PDMPs to collect in order to meet the minimum needs of clinicians. Identifying these data sets marks the first step toward interoperability; followed by how, when and where prescribers can access this data. While physicians in many states have access to some prescription data through PDMP programs, most still have to access the database through a separate interface, requiring that the physician first enters their login credentials, search for a patient’s name and parse through results – all with the patient waiting in the exam room. Even if a patient’s entire prescribing history is included in their medical record, the typical EHR contains vast amounts of information. With doctor visits today lasting only an average of 17.5 minutes, most physicians prefer to spend their time building meaningful relationships with their patients, not sifting through data on a computer screen. One thought is to seamlessly integrate PDMPs into EHRs in a way that doesn’t require more work for physicians. With over 60% of healthcare providers stating that they rely on their EHR platforms for insights into opioid stewardship, health IT vendors can provide additional tools to help nudge prescribers in the right direction. This includes built-in prompts to flag the most recent medical recommendations surrounding opioid prescriptions by disease state, as well as default prescription order sets to suggest lower dosages. Other tools include analytics for assessing how well the treatments actually work and whether opioids are necessary, as well as reminders to follow up with patients who have been prescribed painkillers. For years, it was standard practice for physicians to scribble a prescription for painkillers on a pad of paper and send the patient on their way. Today, we know better. We recognize that anyone can become addicted to painkillers and understand that an unused prescription in the back of a medicine cabinet is not a harmless byproduct of an orthopedic surgery. It is a powerful and dangerous drug that can provide relief when used correctly, but that should not be taken lightly.